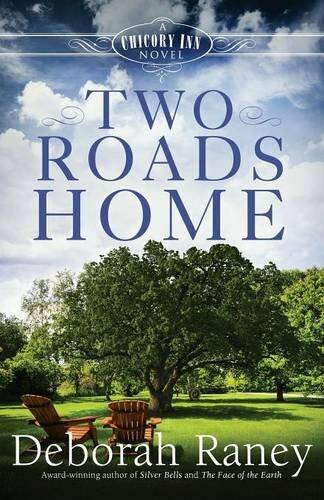 Two Roads Home continues the tale about the various Whitman family members. This tale focuses on Corinne and her family’s trials. Corinne’s husband is considering making a major life change that would turn their lives upside down. Corinne is wrestling internally more than her husband Jess with the proposed change though she is trying with the Lord’s help to be supportive instead of whining about the fallout from what the changes could bring to her personally. The one major theme in the book is that no marriage is without bumps along the way. The elder parents, Audrey and Grant, lived their marriage before their kids as examples to prepare for the day they themselves would be married. As a result, each grown child has a wealth of knowledge from watching how the parents celebrated life, worked through problems and lived out their faith. In both books, the son lost in service is never forgotten and I bet that is very true of any parent who has lost a child for any number of reasons. Plus, I like how when the trials or heartaches come to the Whitman family, each person chooses to allow the Lord to use it to draw them to Him instead of tearing them apart. Home to Chicory Lane and Two Roads Home lift up the importance of family time as well as time for each family to live their grown up lives with little interference from Mom or Dad. The closeness of the whole family really warms the heart as I read the tale. While the author has placed before the audience fictitious characters and the Chicory Inn, the importance of family, faith and walking through life together are major themes thus far. Without the ending being neatly wrapped up, it keeps the possibilities endless for the next installment coming in the future titled, Another Way Home. These are stories that young teens can read and talk about as well as the older audiences or book clubs. Remember to read Home to Chicory Lane before Two Roads Home so you are familiar with the foundation upon which forthcoming installments are built upon!